It delivers balanced sound with plenty of bass. Creative Labs has been synonymous with great-sounding PC speakers for years, so I generally expect excellent audio even from the company’s lower-end products. The Inspire T12 speaker system (available from Amazon) did not disappoint, delivering warm stereo sound at a great price compared to other budget PC speakers we've tested. Note: This review is part of our roundup of budget computer speakers. Go there for details on competing products and our buying advice. Done in matte-black plastic with a glossy black front panel, the speakers are aesthetically kissin’ cousins to Creative’s higher-end T20 series. Each 7.09 x 2.80 x 3.86-inch speaker features a tweeter on the front and a woofer that takes up the entire backside. 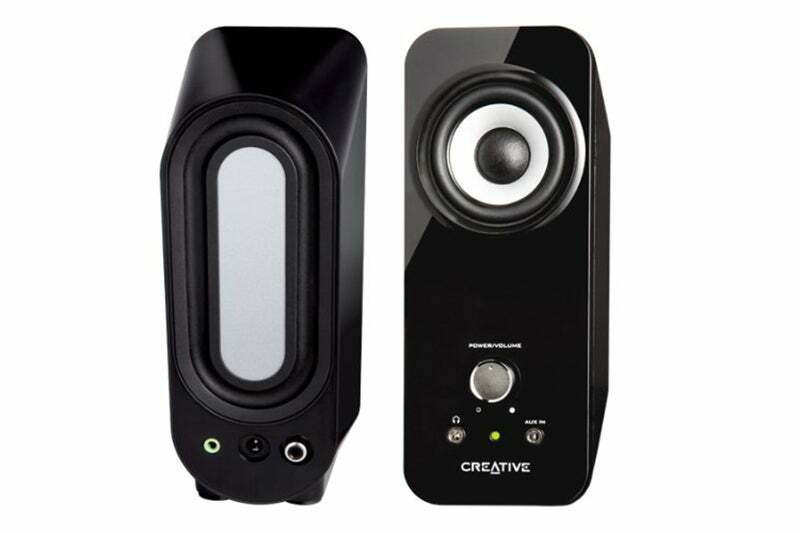 In lieu of a subwoofer, the T12 uses Creative’s BassFlex technology to extend the low frequency. Setting the T12 up is a cinch. The left speaker has an attached cable that plugs into the right speaker to tie them together. Also on the back of the right speaker is the power port, and an audio input jack you connect to your PC’s headphone port using a supplied 3.5mm cord. On the front is a volume knob that doubles as the power switch, a -headphone jack for private listening, and an auxiliary-in jack for lining in your smartphone or other MP3 player. Lacking a subwoofer, the Inspire T12 uses Creative’s BassFlex technology to extend the low-frequency response and beef up the sound. The T12 have impressive sound for desktop speakers at this price. The high end was crisp without ever getting tinny, and the BassFlex tech gives the bottom end a pleasing punch. The speakers also pack a volume wallop that belies their small size. Cranked all the way, they easily fill a modest -ized room with sound, though the audio tends to muddy at that level, too. I found the halfway point on the volume knob to be the sweet spot for desk-bound listening, delivering satisfying sound whether I was listening to classical, rock, jazz, or hip-hop. The T12 are also a great audio enhancer for music and movies on your phone or tablet, but having to physically tether your mobile device to speakers seems fairly archaic in 2018. 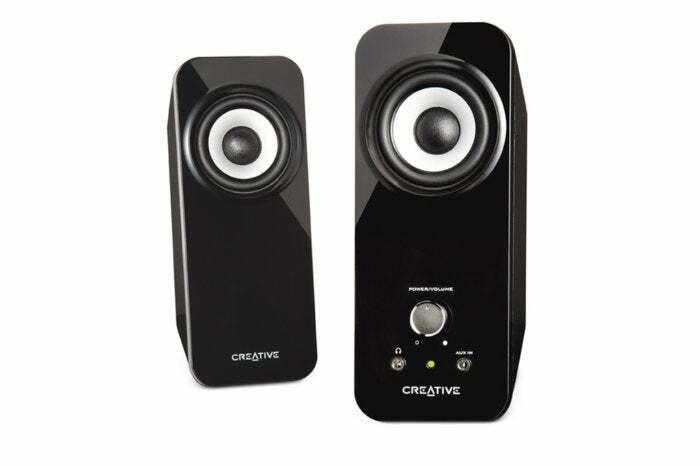 For its part, Creative offers a wireless versionof the Inspire T12 that’s virtually identical, save for a Bluetooth pairing button where the aux input is on the wired version. If you want to upgrade the audio quality of streamed music and videos on your PC and are working with a modest budget, the Inspire T12 fit the bill. They won’t dazzle you with design like the GoGroove BassPULSE, and they don’t integrate the wireless capability like most newer systems do. But if those aren’t deal-breakers, they will provide balanced sound with plenty of bass that brings out the best from most styles of music. The Creative Inspire T12 provides strong, rounded sound for most styles of music.